The avian community is full of endless resources, hobbyists, ornithology students, rescues, avian veterinarians and countless bird lovers of all walks of life. It’s important to stay connected to this community! 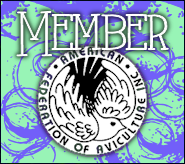 TWFA keeps all of our visitors plugged in through this section by providing news, anecdotes and ads from hobbyists and organizations both local and across the world. Featured in this section are heart-warming articles, services & more. To become a TWFA contributing author, email me. 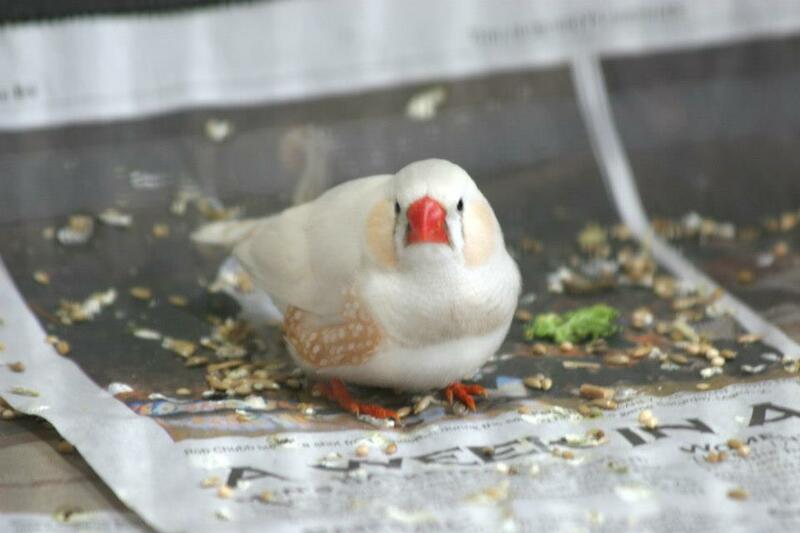 Anything Finch or bird related of interest to avian enthusiasts. Articles are gathered from social media friends/posts, blog articles or from major news networks. For as long as man has held a fascination with birds, he has understood the necessity for their housing while under his care. Despite their straightforward structure and uncomplicated intention, pet bird cages have transformed from simple, boxy reed and wood structures to some of the most imaginative and complicated miniature architectural configurations ever created. As time went on, and our understanding and knowledge of better avian care and husbandry developed, the bird cage changed yet again to a more straightforward and utilitarian design. The early bird cages were built for the very same reason we build them today: to house birds. Cages display birds, keep them safe from predators and prevent their escape. Early cages were handmade net enclosures and simple boxes created from materials such as wood, rope, woven reeds or bamboo. Later on, some birds of the past were even employed in simple, tiny cages to carry out very dirty and dangerous, yet highly respected work, such as canaries in coal mines. (The birds were used to forewarn the presence of noxious gasses; if the canary fell dead off its perch, the miners would know to evacuate the mine). Not all early cages were made in this traditional “cage structure” manner, however. An ancient ruin in the northwest corner of the Mexican state of Chihuahua called Paquime or Casas Grandes boasts the remains of a rather unusual aviary. Before the Spanish ever crossed the Atlantic, an ancient people were breeding scarlet macaws. Paquime Indians of this Pre-Columbian, Puebloan community built and occupied an elaborate settlement made from adobe from about 900 to 1340 A.D. What was found there by archeologists was astounding: Approximately 56 macaw pens made of adobe. This site is more than 500 kilometers north of a macaw’s indigenous home. These pens were made of adobe clay, shaped and smoothed by hand. Made of the same material that was used for housing people, they resemble a rectangular flower pot with a round plug at the end. The adobe kept the birds cooler than if they were housed in any other manner, and the pens contained stone doors and plugs. Research suggests that large-scale breeding of scarlet macaws occurred there long before the industrial age. These ancient bird breeders harvested the birds’ feathers for use in their ceremonial religious rituals, a common Meso-American practice. They most likely traded these feathers with Native American societies in the southwestern United States as well. The bird cage mimics a bird’s roost or home in the wild. Parrots in the wild make their homes in the hollows and cavities of trees. Birds have a natural inclination to seek a place that is enclosed. Simply put, when a cage is properly set up, a pet bird finds refuge in its cage and views it as a safe retreat to rest, relax and feel safe. The cage is regarded as the bird’s home and sanctuary. A good-sized cage with the addition of a playgym or playstand so your pet bird can spend time during the day outside of its cage is an ideal setup. This mimics a bird’s natural behavior of leaving the roost during the day and returning at night for sleep and safety. This method of keeping birds has become a more widespread practice as quality playstands have become commonly available. The designs are sturdier with additional bird-friendly features. Over the centuries, the interest and popularity of keeping birds has waxed and waned. Their popularity soared in the 14th century only to plummet until they came into fashion yet again in the 17th and 18th centuries. They became even more cherished and loved by the higher classes of society. Considered exotic, rare and difficult to obtain, parrots were the chosen bird to demonstrate how fashionable and wealthy the household was. All birds were considered to be in vogue and stylish at this time for many reasons. 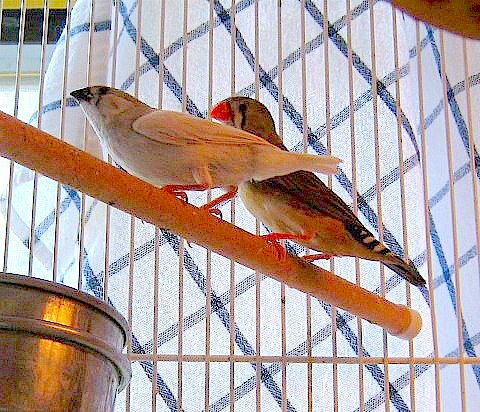 Songbirds provided a background noise that was pleasing to the ear and many cages were designed to be carried from room to room with the owner. They were the first “portable entertainment” long before the transistor radio, the stereo or the iPod. The styles and designs of bird housing evolved and morphed from simple, rustic-looking boxes, to wild, wonderful and sometimes ostentatious architectural structures. As the birds themselves became more respected and held in higher esteem, their housing became more elaborate and pretentious. These cages housed many species of birds, including parrots. The cages that have survived time and tell the story of these eras are still coveted to this day. Known to be toxic for a bird’s housing, serious collectors often pay top dollar for the more ornate and elaborate designs, typically used for interior decorating. There is a market for rustic cages as well. Because these rustic cages were made of perishable materials, not many survived the ages, which makes them valuable. (Image Credit: BBC Nature)A detailed 3D image of a bird’s voice box has been created by scientists investigating how the animals sing. 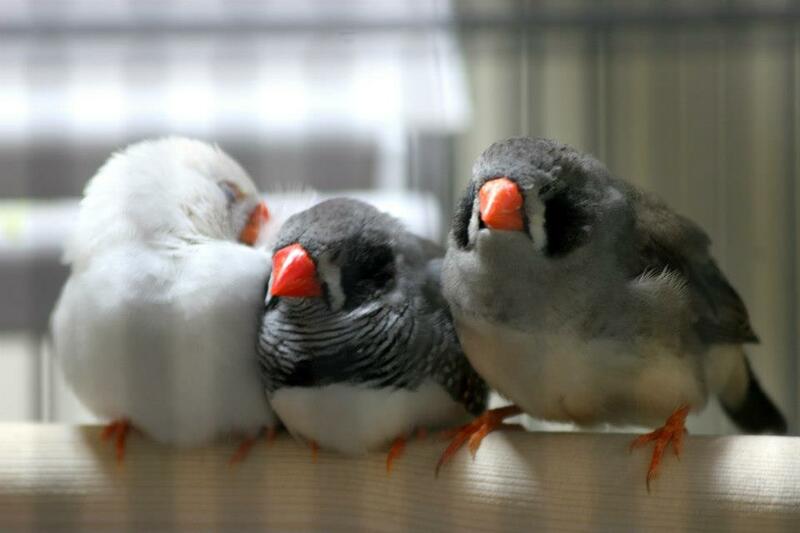 Researchers in Denmark have modelled the tiny vocal organ of the zebra finch. The study identified how the syrinx organ is adapted for rapid trills, even during flight. According to the team, despite advances in understanding the neural control of birdsong, the physical ability is less well understood. “Many great anatomists in the 19th Century have made absolutely wonderfully detailed drawings of the syrinx of many bird species,” explained Dr Coen Elemans from the University of Southern Denmark, who led the study. 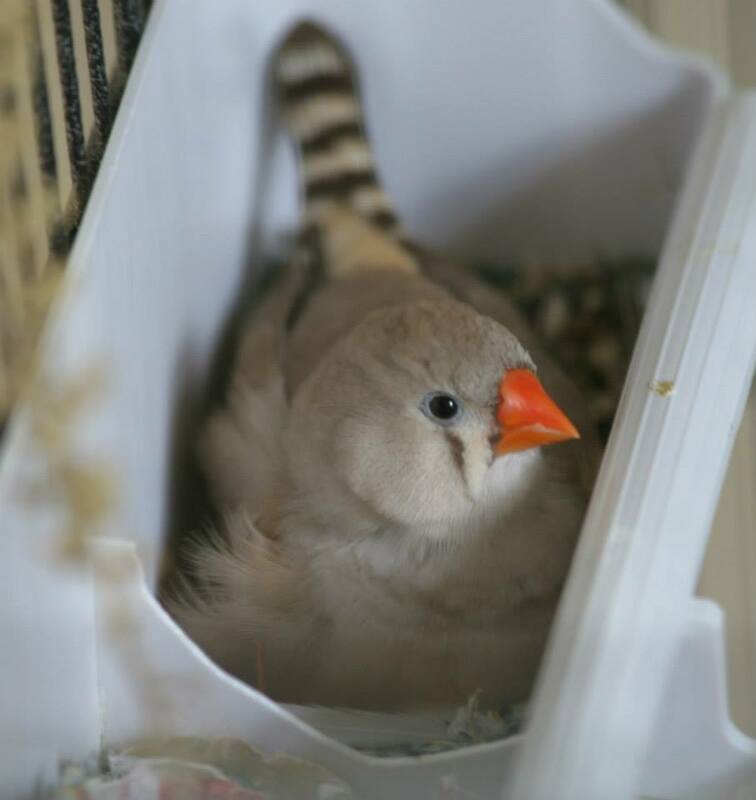 “However, now we have made a very high-resolution dataset in 3D that was not done before.” The research, published in the journal BMC Biology, focused on the zebra finch: a colourful songbird native to central Australia. Dr Elemans’ team achieved the detailed 3D model using high-resolution imaging techniques, including magnetic resonance imaging (MRI). 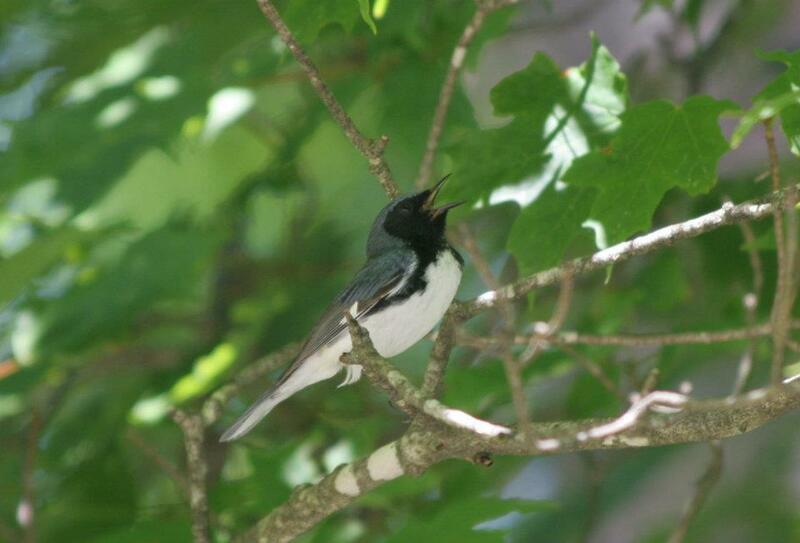 Let’s take it from the top again… Human singing stars these days rely on Auto-Tune technology to produce the right pitch, but this songbird does it the old way – by listening out for its own mistakes. And it’s also smart enough to ignore notes that are too far off to be true. Brains monitor their owners’ physical actions via the senses, and use this feedback to correct mistakes in those actions. Many models of learning assume that the bigger the perceived mistake, the bigger the correction will be. Samuel Sober at Emory University in Atlanta, Georgia, and Michael Brainard of the University of California, San Francisco, suspected that the system is a bit cleverer than that – otherwise, for instance, a bird might over-correct its singing if it confused external sounds with its own voice, or if its brain made a mistake in processing sounds. They decided to fool Bengalese finches into thinking that they were singing out of tune, and measured what happened at different levels of this apparent tone-deafness. To do this, they fitted the birds with the stylish headphones shown in the photo above and fed them back the sound of their own singing, processed to sound sharper than it really was. The researchers sharpened the birdsong by degrees ranging from a quarter-tone to one-and-a-half tones. They found that the birds learned to “correct” their pitch more accurately and more quickly when they heard a smaller mistake than when they heard a large one. It was also clear that the bird brains took “errors” seriously when they fell within the normal range of pitches in the bird’s song: the birds seemed to ignore errors outside this range. Let’s just hope all this media exposure doesn’t go their heads – they’re better unplugged. The heart-warming stories about our bird friends and the birds of our peers can sometimes be what keeps us going. Here you will find stories from many walks of life intended to coax out a smile or ignite strong feelings. I have always loved birds and was fascinated with the Macaws. My cousin called me one day and asked me to come over and see her new bird. When I got to her house she took me to the patio where there was a huge wrought iron cage and a beautiful Blue and Gold Macaw. She said she had tried keeping him in the house but he charged the whole family and screamed all the time. I asked if I could pet him and she said he hated everyone and be careful. I went to his cage and talked to him very softly. He got down on the bottom of the cage, rolled over on his back and said, “Tickle, tickle, tickle”. His wings were clipped so I opened the cage and tickled his tummy and played with his feet. He climbed up on my shoulder and we were best of friends from then on. There was silence across the fence, the neighbors went into the house and I did indeed go outside and took Magoo one of his favorite treats. These birds we love are so much smarter than we give them credit for being. I miss my precious Magoo. He passed away last spring at the age of 64. I had him for 38 of those years. Our birds are precious gems God gives us in our lives, the desires of our hearts. 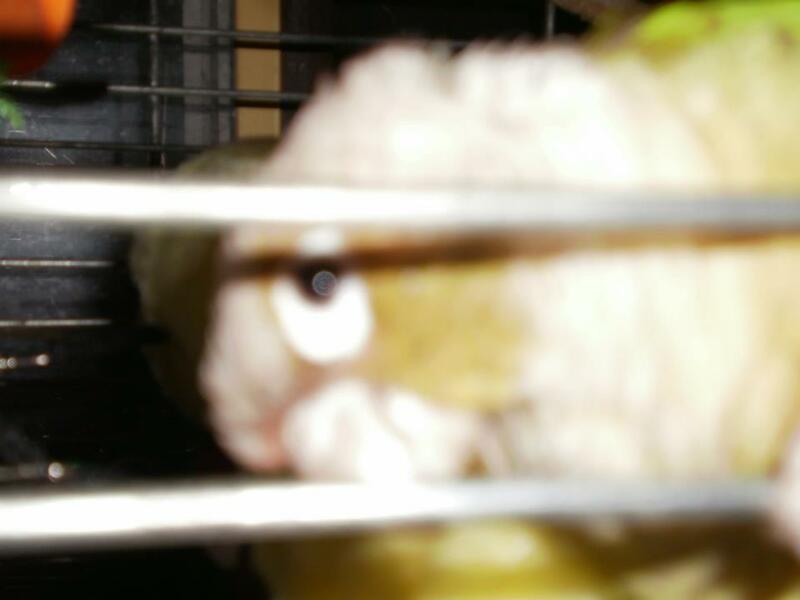 Here are some pictures of my dear birds and also of my very moody Conure, Snoop Doggy!!! These guys are quite a joy to have and keep me quite content most of the time. 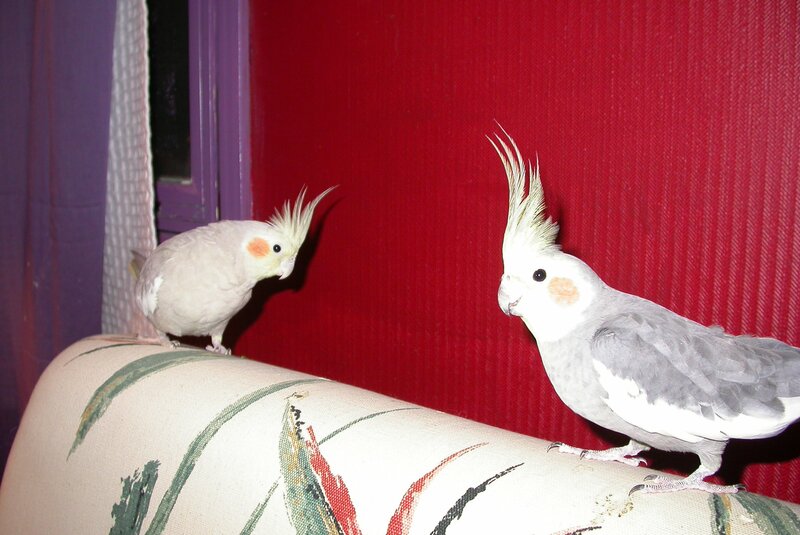 Phoebe (male) and Snow Flake. 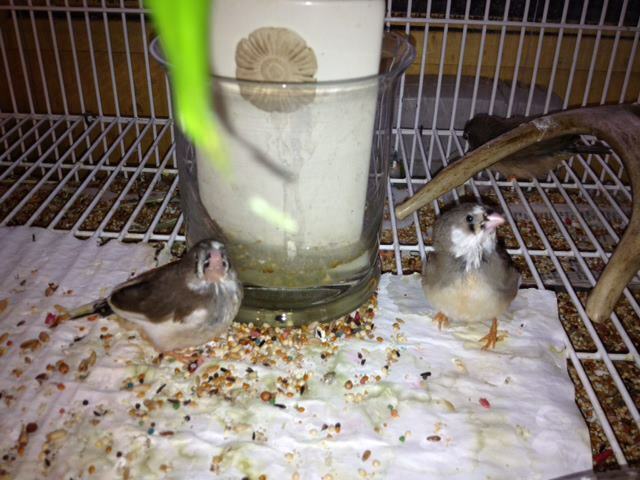 This pair (of Finches) had a baby I raised from egg (as I raised his mom!) and he was a lovely adult also. We started our labor of love in 2007. When we first got a second hand parrot Kiki on Craigslist for a very low price. She was a female Goffin Cockatoo who came to us unknown that she was sick. But she was cheap and seemed like a good buy…..
She was severely feather plucked on the chest and screamed all the time. With some novice research and time and our novice ability to care for her, we relinquished to a sanctuary in Northern WA ~ MollyWood. We relinquished as a bird who screamed. We could not figure out what we where doing wrong and felt that was our only option, for our love of her was without haste. It got very overwhelming to us. No matter what we did, her only comfort was Steve’s shoulder, then in time, while on his shoulder she would scream – no comfort to her at all. Unbeknownst to us Kikki had a heart condition~ her plucking was possibly from the illness she had. We had all our best intentions for Kikki. She is now full feathered and flying with the angels. She died within weeks at the sanctuary. HOWEVER: When we relinquished we had no idea about bird behavior, bird health, feeding her or caring for her medical needs. Not until we found out from the sanctuary – they had a necropsy done on her and found she had a severely enlarged heart which was also diseased. If we would have only known her screaming was due to health issues! However, we are like a lot of people out there, thinking they are doing good in some way or form, because we do love all our animals. We thought we found a good deal on CL getting a bird who we thought we where helping. But our novice ideas and lack of Avian care possibly caused her ill fated death. YES. This has forever effected us. We went seeking with out researching. We still to this day find out information on birds and their care every day we are learning. We do not know all about the birds but we now have access to the right people to inform us. And know of Avian Vet care. Our sadness of this caused us to be very overwhelmed with guilt, that we know that we were a part of the problem. NOW: How can we become the solution?! So we go forth gathering any formation on how we can make sure that no more ill fated birds go into hands of the novice. For it is a labor of love! That we take our knowledge and help the people who are and were like us to educate and inform about parrot care. We do not claim to know all the answers. But will never give a sick/unhealthy bird to anyone, With out education, an avian vet, and again education. We will not allow any one to encumber the pain we experienced with Kikki. For we thought we knew, and we did not! 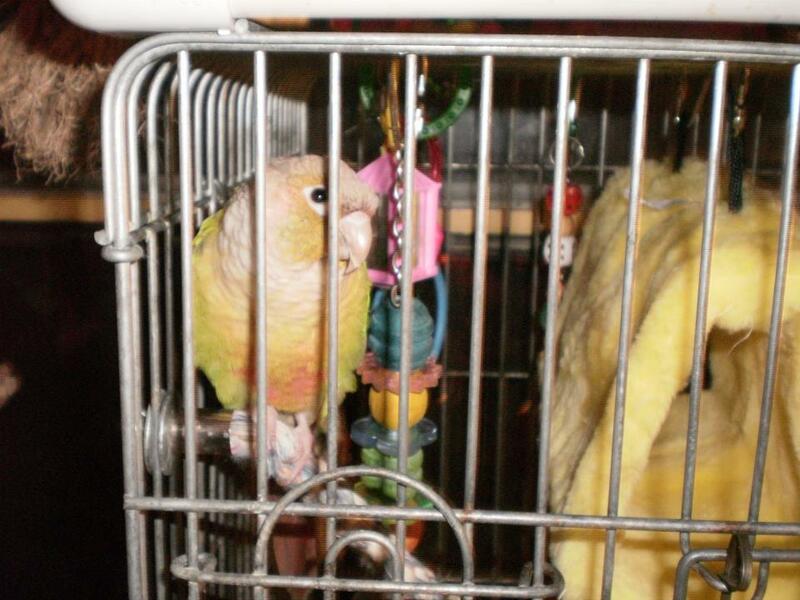 We had good intentions for Kikki – the right size cage, the love, the attention tons of toys. And food from the pet store. But we lacked the ability to rule on her behavior and her health. With correct care, we were still clueless! So with the new awareness of education and trial and error and more education, we decided to go and rescue unwanted birds. Again we did this still with not a lot of education on the birds. But we had heart and outlet of many bird communities to help guide us. In the years to follow we gained experience with hands on. Until recently we found that we need to go further and reach out to the community to help the birds in need. 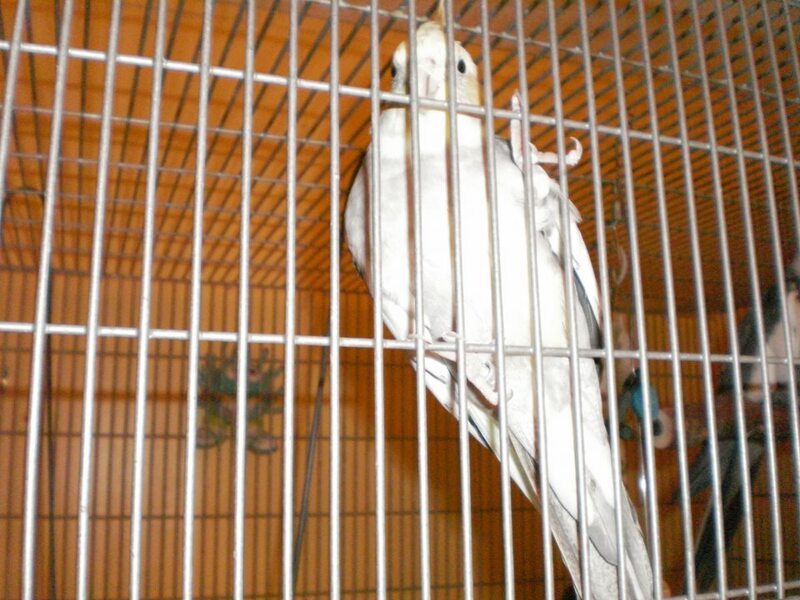 This is what we do, for we kept the “pet” bird in the community and saved it from relinquishment to the sanctuary. For the pet birds want human compassion. On terms of sanctuary. The only birds who belong in the sanctuary are dangerous birds. No pet belongs in a sanctuary if we can assess and find a good home for them.. Your home might not be the right home. But don’t give up.. there is a right home somewhere! This is why A.P.R. All Parrot Rescue is here! 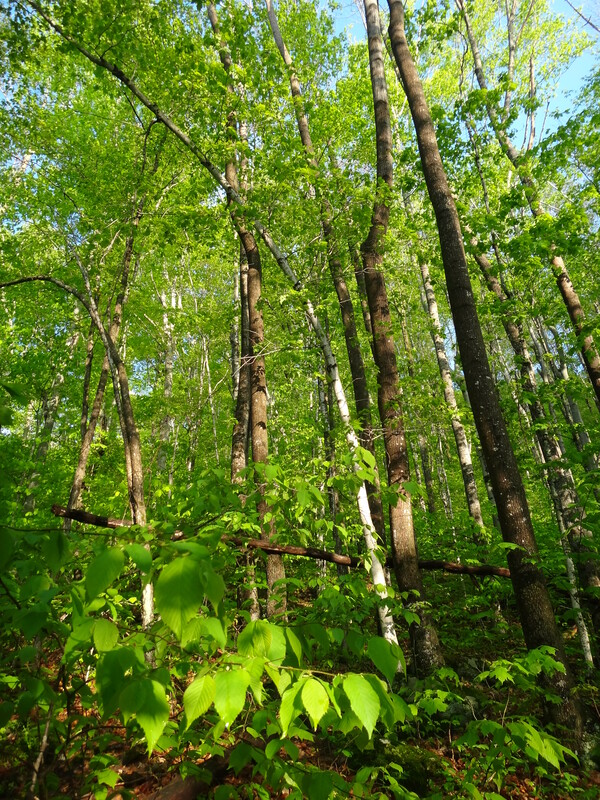 An inside view of Hubbard Brook Research Forest in Northern New Hampshire. 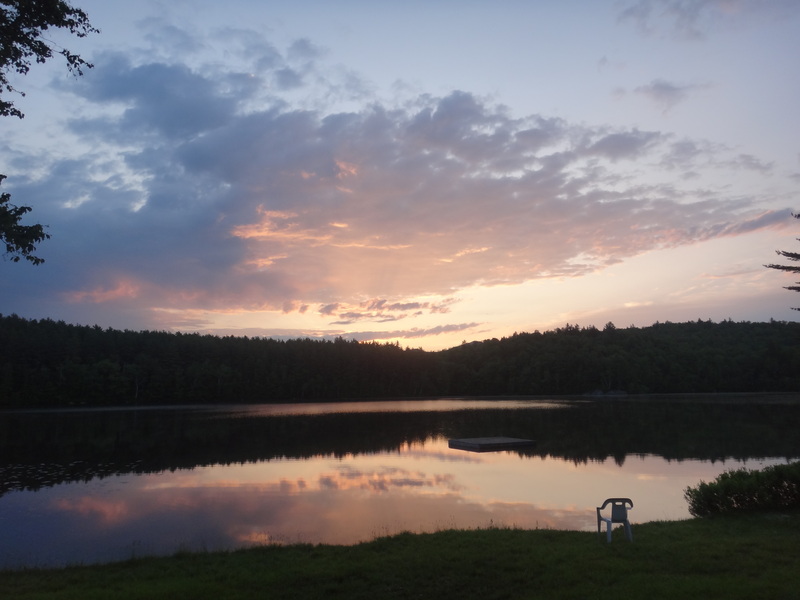 The most remarkable field job I have worked took place in the forests of Northern New Hampshire’s White Mountains. I drove straight from a remote field site in “Cold Mud-pit,” Wyoming (the unofficial but accurate name for our trailer camp in the sage-brush), so the transition to the beautiful green mountains could not have been more welcome. 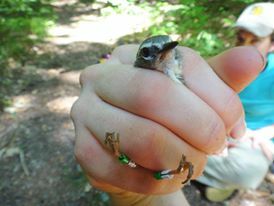 I was part of an 8-person team of field assistants: three “banders,” and five “nest-searchers” — I was the latter. We were working on a joint project under Cornell University and the Smithsonian, in Hubbard Brook Research Forest. We stayed in a station that was closer to a series vacation condos than a field camp. We had real beds, a huge kitchen, and multiple couches! To give a sense of context, many, MANY field positions involve months of camping with little access to showers or perishable food. My job in Wyoming had a trailer as base-camp. Getting up at 4 AM had some benefits: beautiful sunrises were common over Mirror Lake. 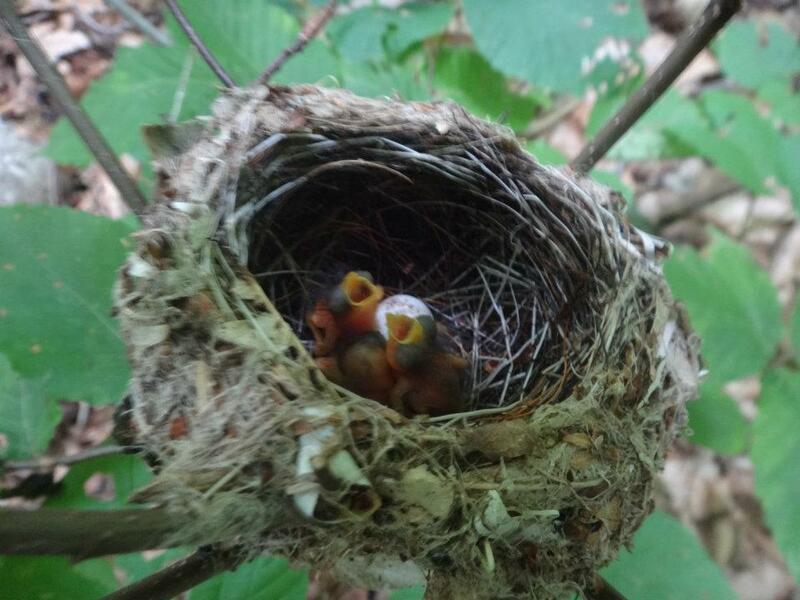 We were studying every aspect of reproduction of the local breeding population of Black-Throated Blue Warblers (Setophaga caerulescens). These dapper little birds are neotropical migrants, wintering in Cuba and Panama and arriving in the northeastern U.S. to breed in early May each year. Males are a crisp slate blue with a black mask and throat patch, and brilliant white underbellies. The mnemonic for their song is “beer, beer, please”, but in reality each male had his own variant of repeated trills and buzzes that allowed us to nearly identify individuals by song. Females are a drab yellowish olive, with distinctive white spectacles and a square-shaped patch on their wings. Whereas territorial males are always rattling the canopy with their whistled song or buzzing furiously at both nearby ladies and intruding gentlemen, females slink about the brush with the slyness of any protective mother. This makes locating their highly camouflaged nests among the most challenging of tasks for even experienced nest searchers. Our lady GWAG: green white, aluminum green. I coaxed a male in close by playing recordings of BTBW song. The banders used fine nets (“mist nets”) temporarily erected between two poles to catch both males and females from territories in our site. We attached a Fish and Wildlife numbered aluminum band to each bird, plus 3 randomized color bands for individual identification of birds from a distance. Each bird came to be known by the pronunciation of his set of bands: GWAG, RPAK, and WRRA are just a few. As a nest-searcher, I kept meticulous maps and written notes of each male’s territory and his reproductive status. The surest way to locate a nest was to catch a female sneaking around with her bill stuffed full of nesting material: tree bark, spiderweb, small twigs. Nests are complete within hours, and there are few behavioral cues that will lead you to a nest once completed, so we obsessively watched and searched territories that may contain nesting ladies. 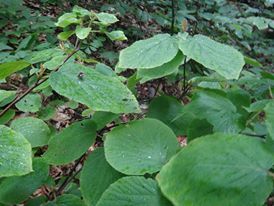 Most nests were in viburnum, “affectionately” called hobblebush. The silver object is an “iButton” that records the nest temperature every minute, night and day. Because we monitor nests throughout the breeding season, we acquire data on the reproductive success of each male and female on our site. 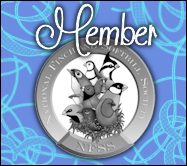 We know numbers of eggs, duration of incubation, nestling success rates, temperature of nest (using small, battery-sized recorders), video recordings of nestling feeding, and even insect abundance (from regular surveys). A screenshot of a dutiful father, WPKA (white pink, black aluminum). Caterpillars were the food of choice for nestlings. This data has been collected religiously each summer since the 1980’s, providing a wealth of information we can use to track the behavior of this species over time. A few publications include an investigation of what determines a female’s choice to produce a second brood, and how El Nino weather patterns affect warbler nest success. The job involved early and relentless hours and strenuous hikes through humidity and treacherous terrain. However, I also had the privilege to watch dedicated mothers settling down into their nests like vaguely bird-shaped balls of feathers, and males carrying two-inch caterpillars back to feed hungry little faces. As many of you know, nestlings are not terribly attractive. We gave these squirmy/squishy fellows US Fish and Wildlife aluminum bands and hoped we would see them again the following season. Anyway, thank you for listening! I am currently in a Ph.D. program under the wonderful Geoff Hill, whom I would deem the Master of Bird Coloration, at Auburn University in Alabama. 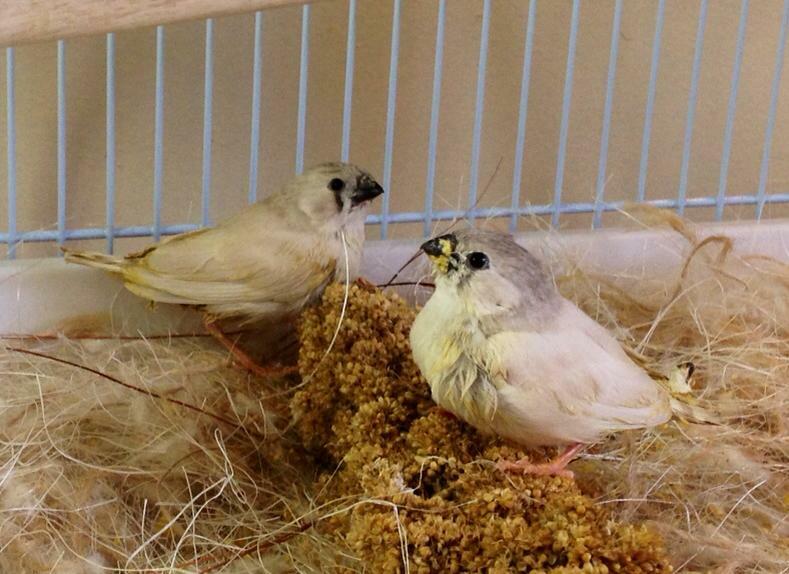 My research has been stalled by the unfortunate dictatorship of the flawed university animal-care-and-use administration, but next year I should begin my work on white, yellow, and red factor canaries. I hope to keep you updated about life as a bird researcher, and perhaps shed some light on the mysterious and often-maligned world of captive bird research. Happy birding! 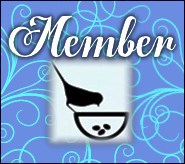 Bird- and otherwise-related listings by you, the local and international avian community members that visit LPBA. For a list of all personally used and aprroved services, visit the links page. 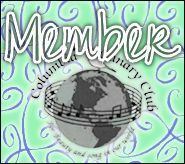 All Community Listings are to be enjoyed at your own risk unless formally used and approved by LPBA or its members. Bean, determined to incubate seed. 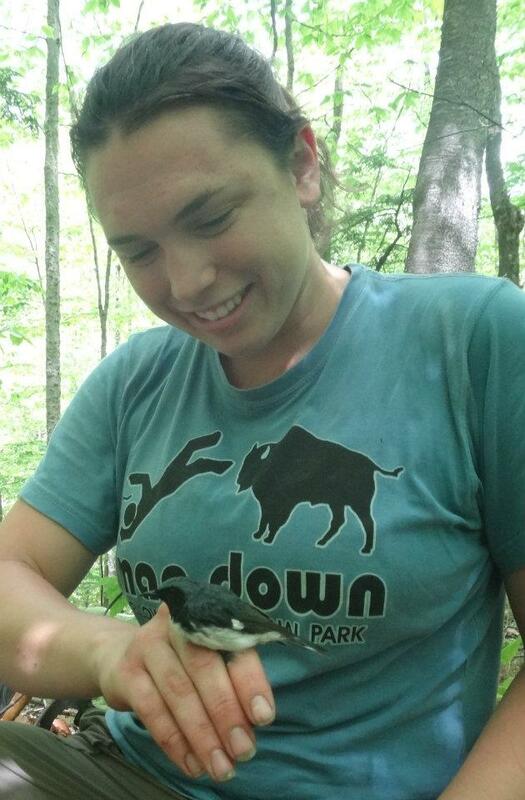 This is Becca — I posted several months ago about my work as an ornithology technician in the New Hampshire forests. 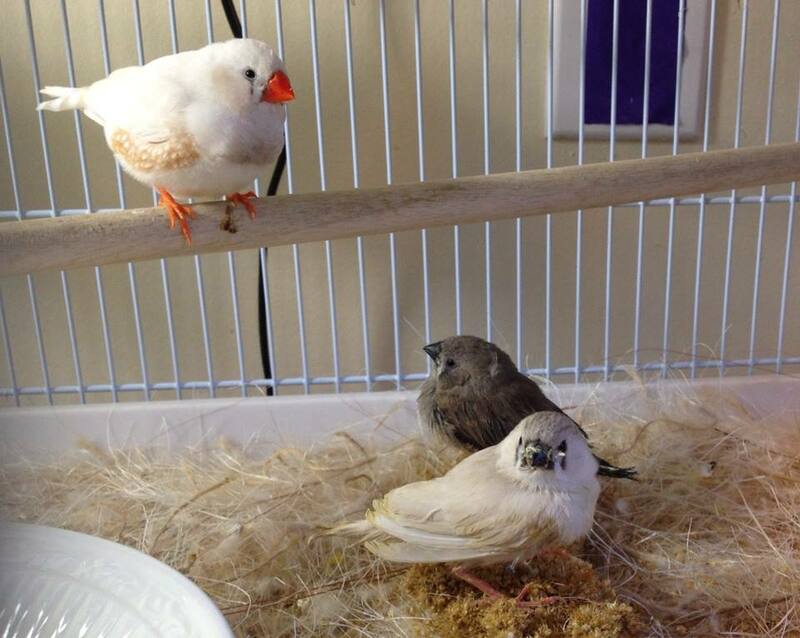 I also keep a small (but growing) colony of zebra finches in a spare room in my apartment. 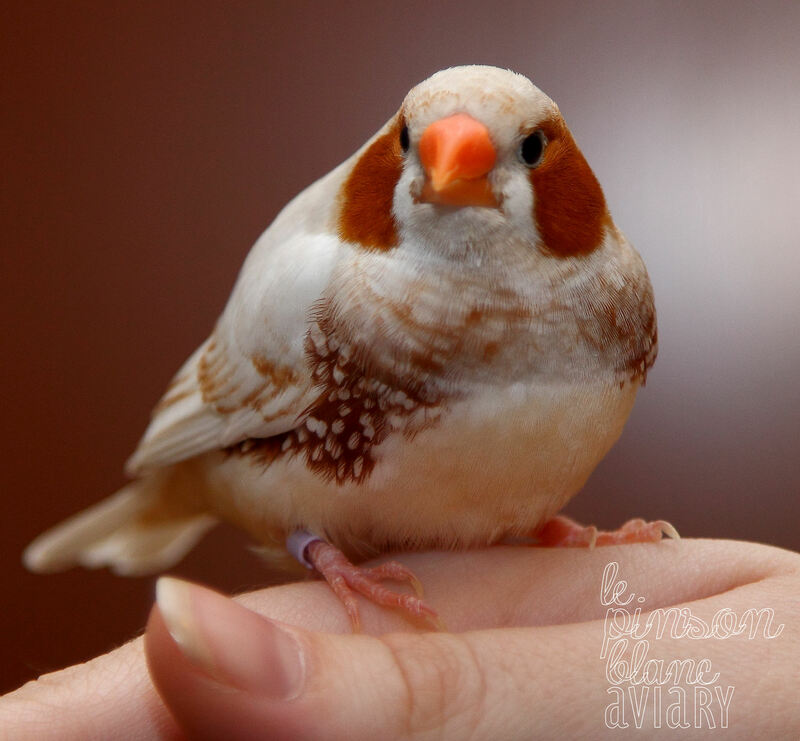 I can’t wait to post someday to share with you my trials and tribulations as a new finch owner but longtime bird lover, though for now I post with a different purpose! I have embarked on the journey of breeding these little birds from time to time, both for my own personal enjoyment and to encourage pair bonding to stabilize my once-squabbling colony. Given my space limitations, however, I sometimes find myself with several babies in need of good homes. Chelsea has kindly allowed me to advertise my available birds here. She has been a truly invaluable mentor in helping me foster these fat little friends! Pancake, sitting fat and sassy. Right now, I am looking for homes for three CFW sisters and a CFW/Fawn male. Their parents, named Bean and Pancake, are personal favorites of mine for their especially fluffy demeanor and bold personalities. The fledgies are still young (less than 2 months old) and seem to delight in rolling around in feces, but they are sweet and perky — and just starting to squeak tiny “beeps” of their own. Proud father Pancake with a son and daughter. 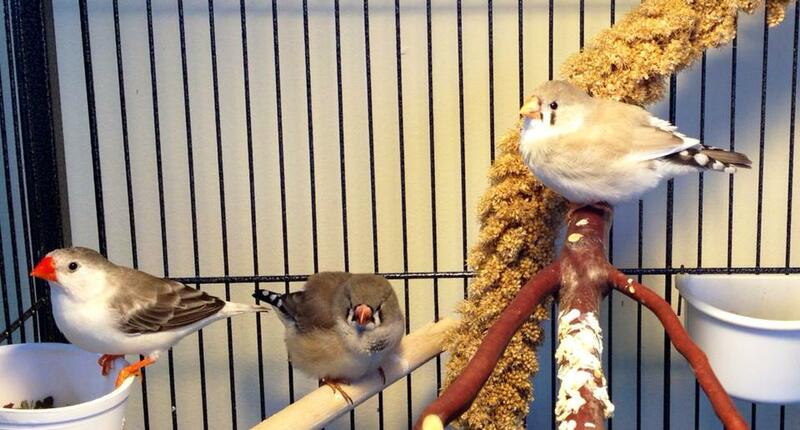 Two CFW sisters, hanging out on the millet. Penguin Sally (left) sneaks into a photo with young male Shadow (center) and his light-colored sister (right). Snowball (left) cuddling with Lucy and Rocky, my BC pair. Please let me know if you are interested in current or future babies! I am located in Alabama, but I should be able to ship. Contact me via email. Thank you, and happy finch keeping! 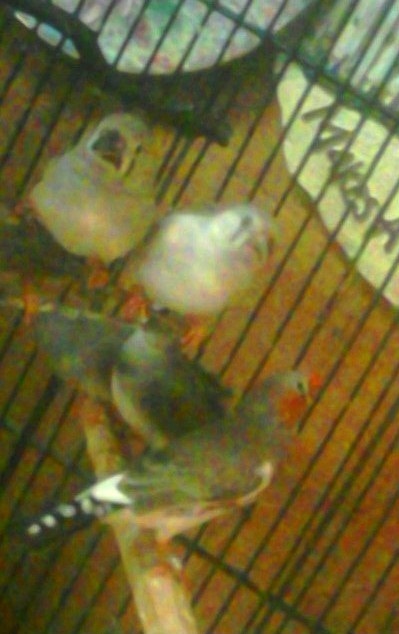 I recently acquired a pair of Zebra Finches and four babies, a lady was selling them all and the cage for $25 so I bought them mainly to get them out of the deplorable state they were in. They look very healthy amazing enough, but the cage looked like it had never been cleaned. Long story short, I brought them home. They are eating well and I have been giving them a better diet than they had , starting slow , I don’t want to tax their systems. The babies are feeding themselves now with only a little feeding from Mom and Dad, They are good parents even herding them into the nest when it is time to go down for the evening. I would really like to find good homes for the little one’s. Please contact me for more information or to adopt these 2 pairs of juveniles. You can reach me by emailing me – click here for my address. Update! (by Chelsea): These babies have all been adopted. Thanks to everyone for helping them find a new home. 🙂 We are truly a family and community of bird lovers – it makes me proud to see people lending a hand. 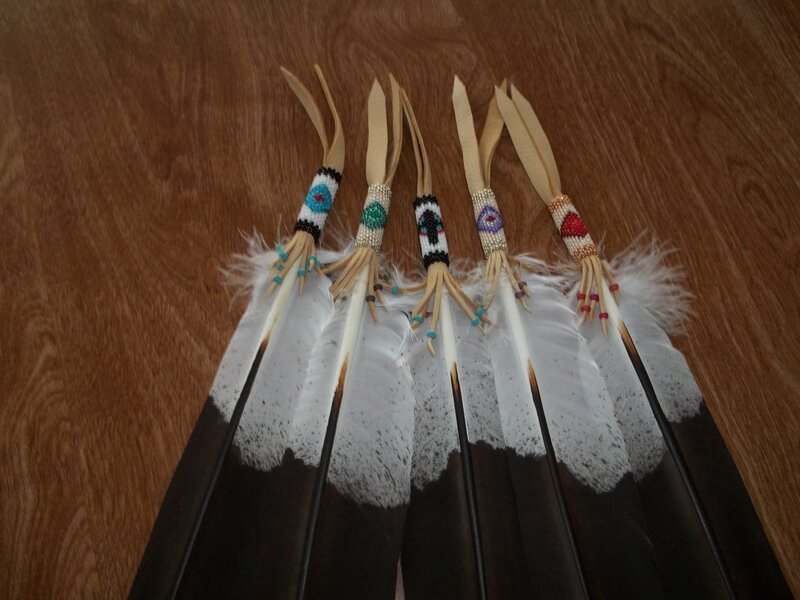 I’m a bead artist of Native American decent and I have had several requests for beaded Eagle feathers. Non natives are not allowed by federal law to posses a real one. 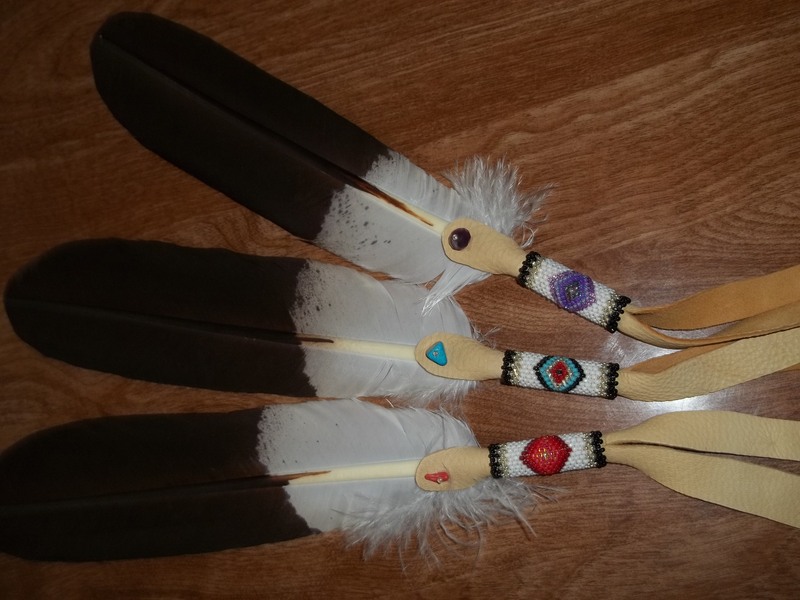 These are turkey feathers that are painted to resemble eagle feathers, thus Legal Eagle feathers. 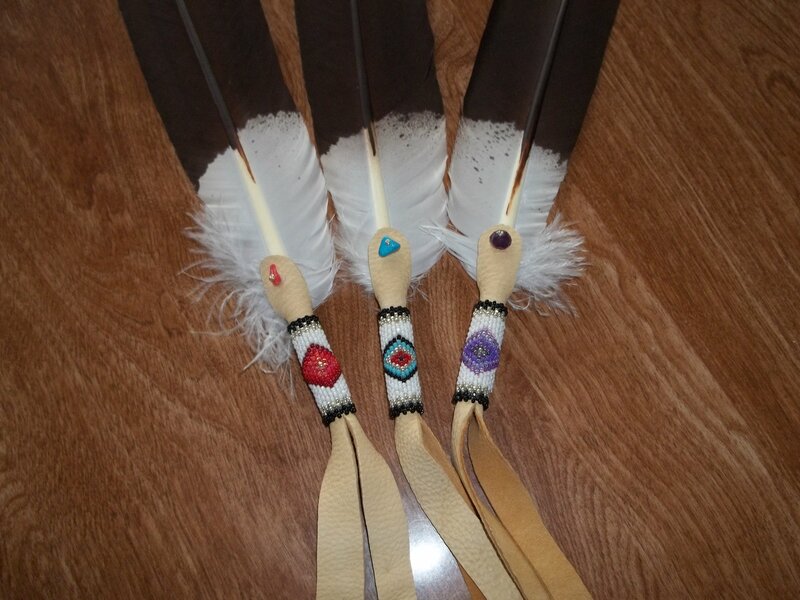 I bead the shafts of the feather in different colors and designs for the customer. I attach the leather so they can be worn in your hair, on a hat band, tied to horses manes and tails, saddles and bridles, or display and etc. I do special orders for color, beads and designs. Please contact me, Marie, at dancingdeerdesigns@centurytel.net for pricing and availability. Hello to every body, it’s my first time at this webpage; this blog contains remarkable and really fine material.